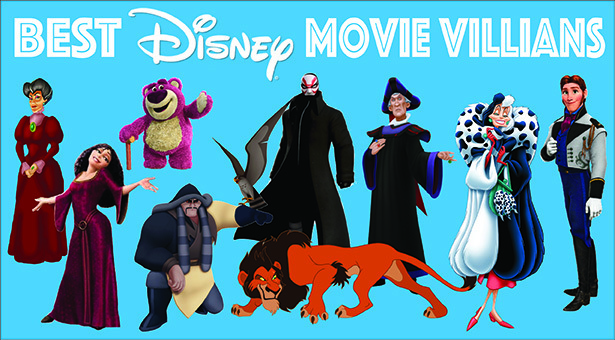 Best Disney Movie Villians. Media by Bre Pollitt. Written by Erin Lobner. Media by Bre Pollitt. We grew up watching them in our favorite childhood movies and books–always rooting for them to lose. Antagonists in media show us that heroes are supposed to win against all odds while villains provide a plot for the audience. After all, what’s the point of a movie with no bad guy? Disney shows us how vital these villains are to a good story. Commonly known as the Wicked Stepmother, Lady Tremaine made her mark in the Disney villain universe in the original “Cinderella” movie (1950). She’s known for the psychological abuse she causes her stepdaughter, Cinderella, after the losing her husband (Cinderella’s father). Lady Tremaine keeps Cinderella locked away and forces her to work as a household servant while her own daughters are pampered in their search of wealthy husbands. 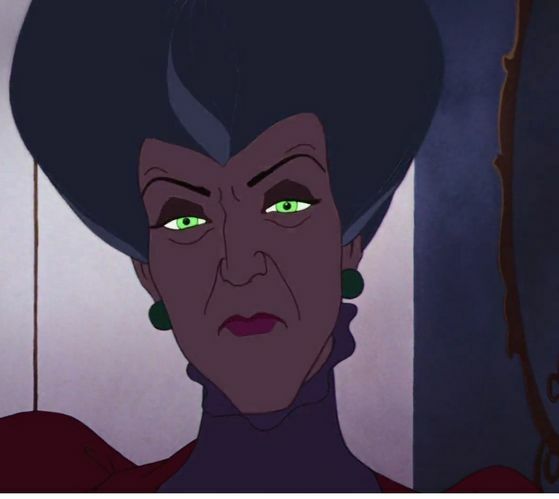 Lady Tremaine’s mistreatment and abuse made her a formidable and classic villain. The classic villain look. Source: Rotoscopers. Speaking of locking girls away, Mother Gothel might be worse than Lady Tremaine. Gothel kidnapped Rapunzel as a baby to obtain her magical powers and stay youthful forever. After keeping Rapunzel trapped and convincing her that the outside world was a terrible place, she painted herself as the victim. In the finale, Mother Gothel fatally stabs Flynn with a piece of mirror when he went back for Rapunzel. Definitely villain material. 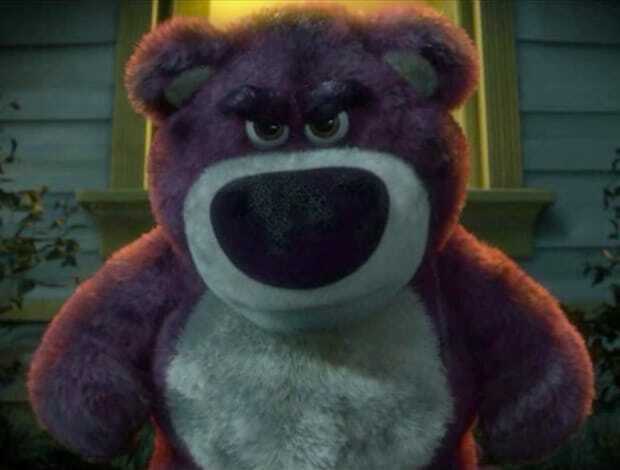 Lotso, for short, is that harmless-looking pink bear from the third “Toy Story” movie. Although he had a tragic backstory of being abandoned by his owner, his prison warden-esque manner led to some villainous actions. When Andy’s toys arrived at the daycare where Lotso resided, Lotso assigned them to the worst room, knowing the kids would abuse them. After some other nefarious events, the movie reached its tear-jerking climax when Lotso left the toys to die in an incinerator. Devastated by the loss of his daughter, Callaghan adopted the persona of Yokai for revenge on the man responsible for killing his daughter. His actions led to the death of protagonist Hiro’s brother, Tadashi, sending Hiro into a depressed state. While Callaghan wasn’t a terrible guy, he did some terrible villain-worthy things. This lion indicated his evil nature toward the very beginning of “The Lion King” when he orchestrated his brother’s death by a stampede of wildebeest. Because of his jealousy, Scar also attempted to kill his nephew, Simba, so he would be the only heir to the throne. Apart from the fact that he killed, or attempted to kill, his family during his brief time as king, he ran the whole kingdom into the ground. It resulted in a drought and displacement of herds. Okay, let’s be real, Hans’ ascot aside, there were other signs that should have let Anna know he wasn’t a great guy. For example, he wanted to get married when they had only known each other for about 30 seconds. But, what really made Hans a bad guy was abusing Anna’s feelings and leaving her to die. He, then, went after a defenseless Elsa while her back was turned. This triangle-hat-wearing-gypsy-hating guy started the movie off by pushing a woman down church stairs to kill her. Then, he’s narrowly prevented from throwing her deformed son, Quasimodo, down a well. In a plot twist, he kind of falls for Esmeralda, a gypsy, then tries to burn her at the stake when she refuses to be his. You know, just some good old 1400 French villainy. She kills/wants to kill puppies. Enough said. Shan Yu was one of the most intense and ruthless villains in all the Disney movies. As leader of the Huns, his goal was to take over China. While never shown explicitly, it’s implied that he killed hundreds, if not thousands, on his quest. The sheer amount of victims that suffered at his hands make him the most horrifying Disney villain. Comment below on what villains you think should have been on the list! Are there any that you think don’t belong?